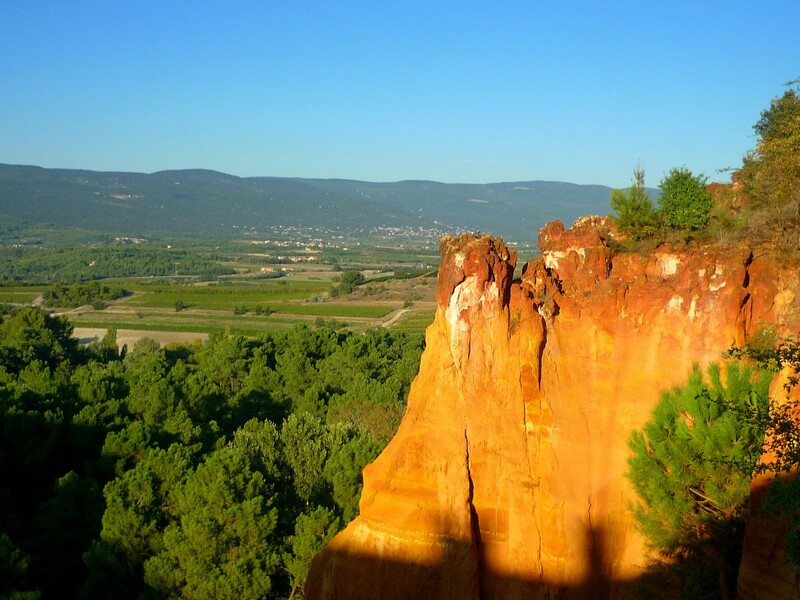 Roussillon lies in the northern part of the Luberon, between the petit Luberon and the Vaucluse Plateau. The village is famous for its ochre quarries that were exploited from the end of the 18th century until the 1930s. Roussillon is a delightful Provençal village and the second most visited in the Luberon after Gordes. Its location at the top of a steep hill certainly gives it a great panorama and it is labelled as one of the most beautiful village of France (plus beaux villages de France). The village originated from a small castle built there in 987 and now contains several beauties such as the Saint Michel church, and pretty, colourful facaded buildings. “You offered me such a good meal that never again will I wish to eat”. When Raymond threatened her with his sword, she escaped and in her flight, accidentally fell off the cliffs and died. The legend says that her blood had coloured the landscape of Roussillon forever. 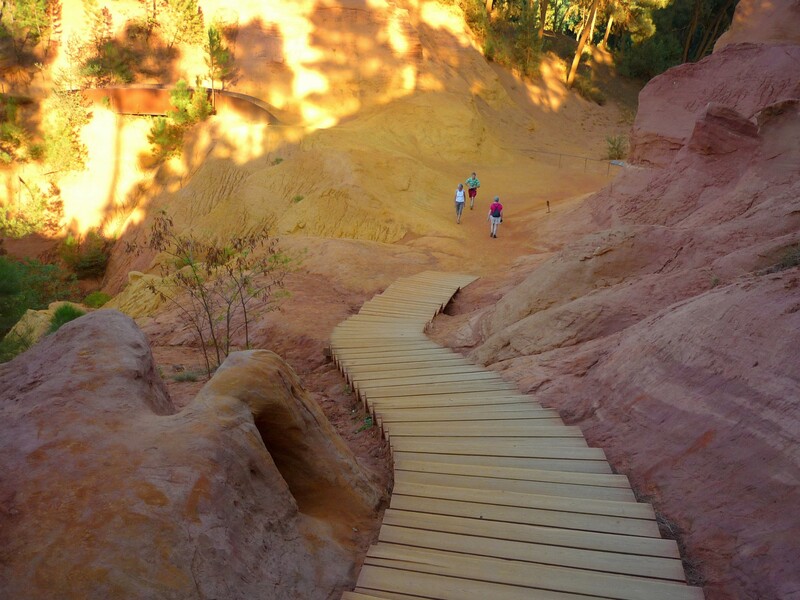 The ochre quarries of Roussillon are made of fantastic pigments ranging from yellow and orange to red. The mining of ochre has left its mark on the facades of Roussillon’s houses and a stroll through the village at sunrise or sunset will reveal enchanting colours. The “Sentier de l’ocre” (ochre path) leads you through the old ochre quarries. If this astonishing landscape is the result of natural erosion by the wind and the rain, it has been accentuated by human hand which has cut deep galleries to extract the ochre. 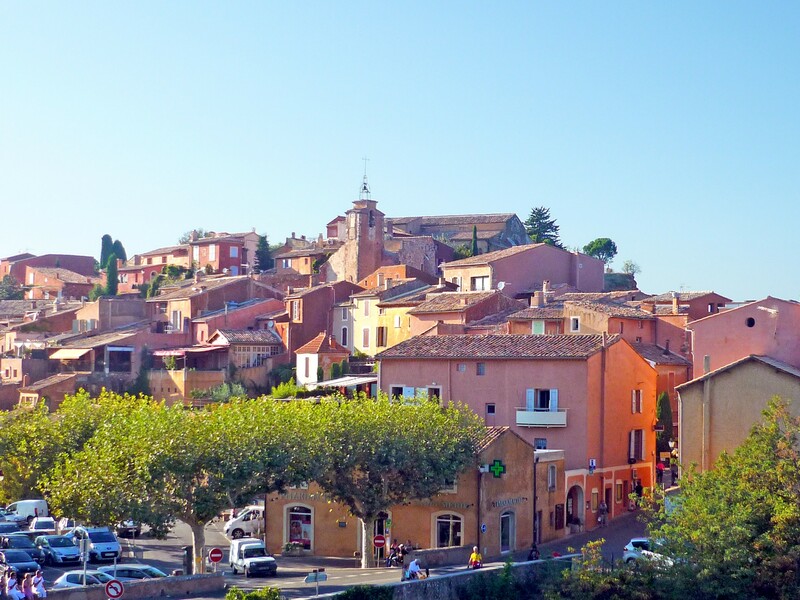 In 1780, the colouring effect of ochre was discovered in Roussillon by Jean Etienne Astier, hence turning the peaceful village into a leading site of ochre production. Check out the Tourist Information board of Roussillon.